Istanbul's strategic location between Europe and Asia on the ancient Silk Road has made it one of history's most important cities. A list of its points of interest would be long enough to bridge the Bosphorus, so here's a top 10 to make your itinerary more manageable! In Hagia Sophia, the immense dome crowning this church turned mosque turned museum was an architectural miracle in its time, although it took a lot of trial and error to get to that point: it collapsed twice! Also commonly known as the Blue Mosque, the fine İznik tiles adorning this magnificent structure may make it appear bluer than it actually is! 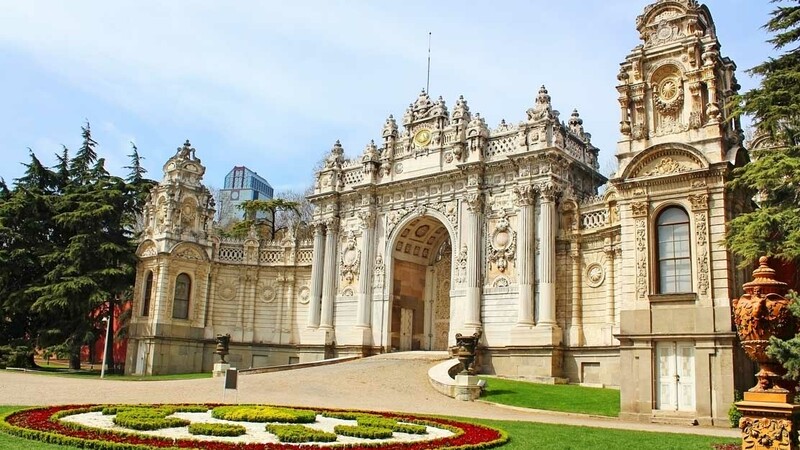 The glorious Dolmabahçe Palace dominates the European shoreline of the Bosphorus where it served as the key administrative center in the dying days of the Ottoman Empire. 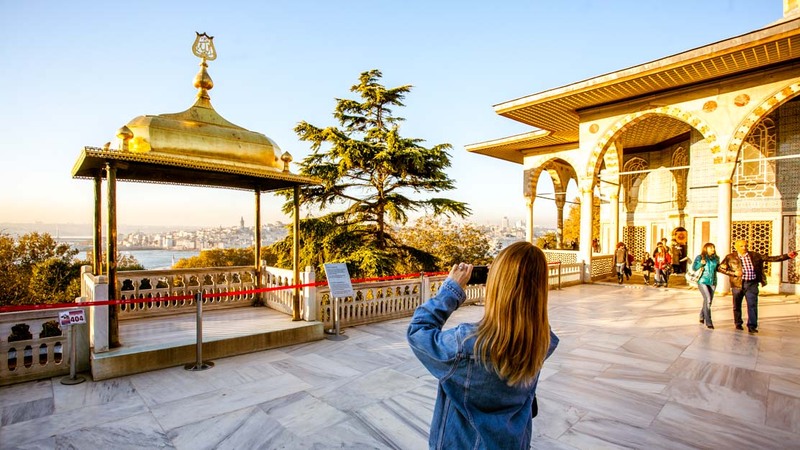 Topkapi Palace, the one-time home of many Sultans, not only offers spectacular views of the city, but also houses treasures that make the Crown Jewels look like Claire's Accessories! 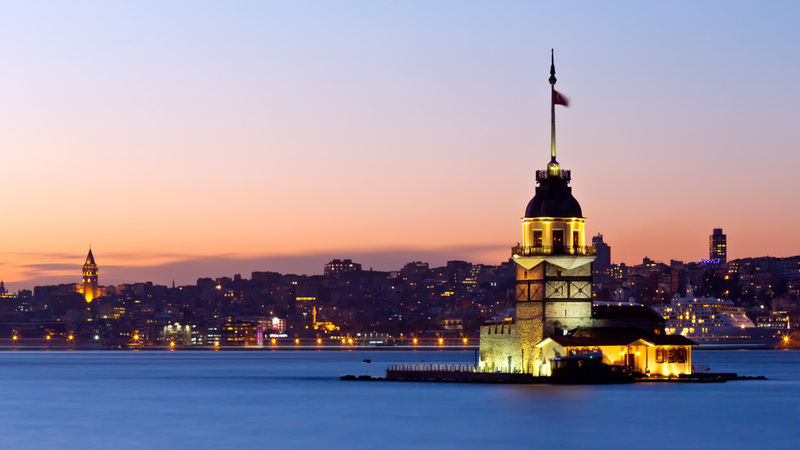 As early as the 1600s, Ahmet Çelebi is said to have flown across the Bosphorus from the top of the Galata Tower. Most visitors will probably be content with the incredible views! The Grand Bazaar is one of the largest and oldest markets on the planet. A constant source of wonder, it's also one of the world's most visited places. Expect crowds at any time! 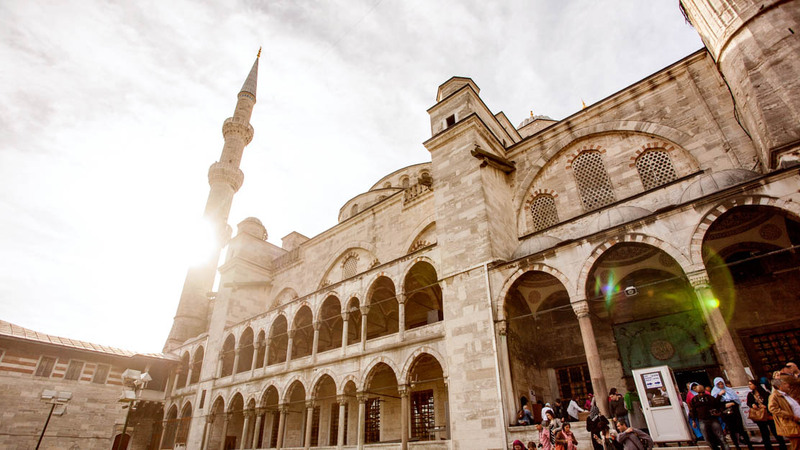 The stunning Süleymaniye Mosque was built for Suleiman the Magnificent by the great architect Sinan. If you're feeling peckish, Ali Baba across the road might be the best restaurant in town for Turkish beans! 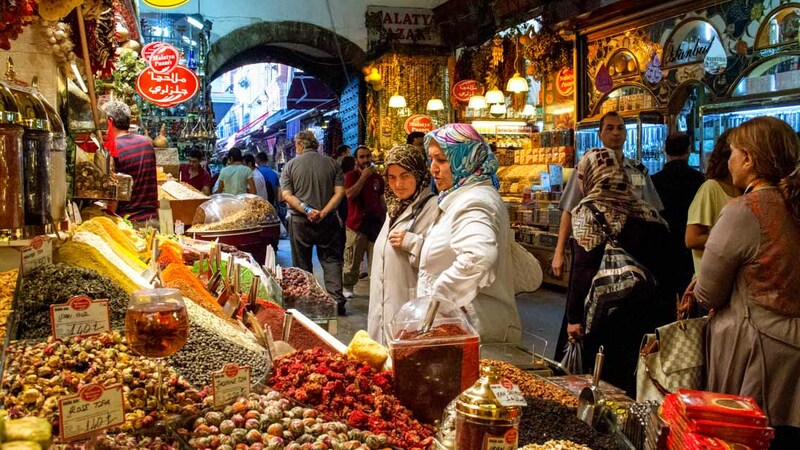 The Spice Bazaar otherwise known as the Egyptian Bazaar was created in 1660 and remains the place to go for spices, nuts, Turkish delight, and other divine tastes and smells! 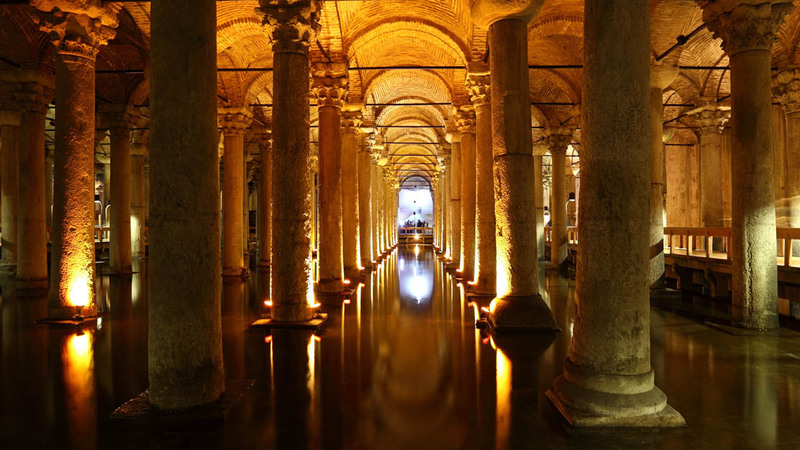 One of Istanbul's most unusual sights, Roman relics have been reappropriated by Byzantian builders to support this complex system that once brought drinking water into the city. Perched on top of a tiny islet in the Bosphorus strait, this historic lighthouse was once a watchtower. It now also serves as a popular restaurant and café with splendid views of the city's shoreline. Istanbul is a cartographical labyrinth with sights and experiences awaiting you round every corner. How long to stay depends on how immersed you want to get, but a week should be enough to cover the most famous attractions. Havataş Shuttle Buses are available from outside the terminal and leave every half an hour for Taksim between 4:00AM and 1:00AM. Taking a taxi is, however, the most convenient way, and shouldn't be more expensive than the shuttle service between a group of four. Be sure to ignore the hustlers inside the airport and take an official vehicle from the taxi rank at the terminal exit. 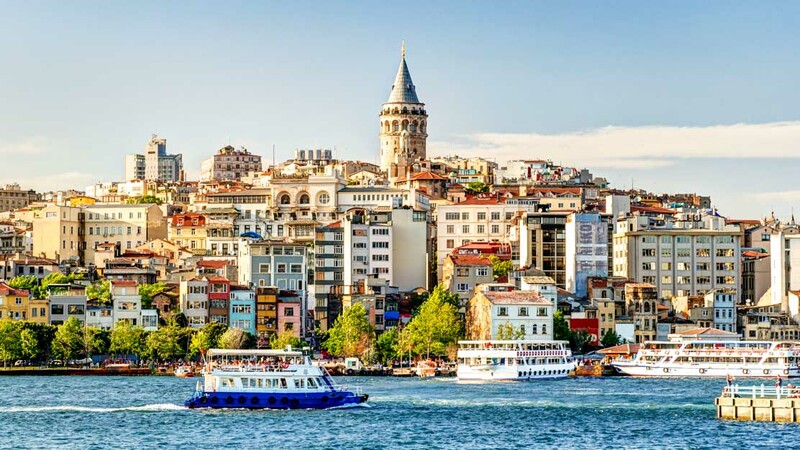 The key touristic areas are Fatih and Taksim, and which to stay in depends on the nature of your stay. Fatih is the old town and home to many of Istanbul's historic landmarks. 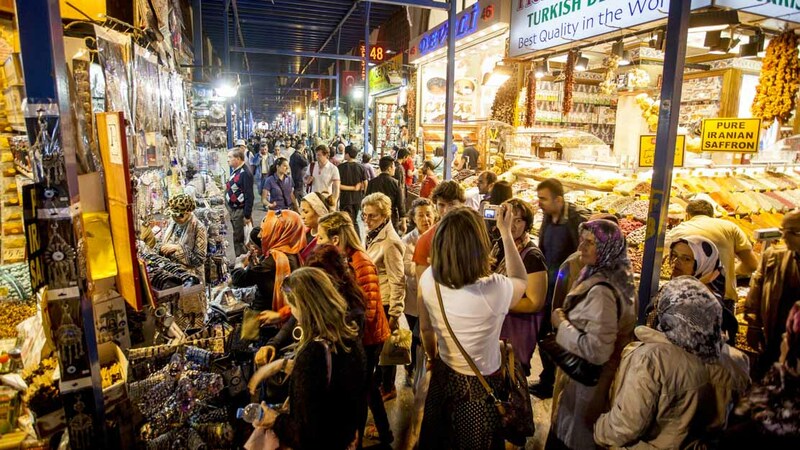 Taksim, on the other hand, is modern and appeals more to those visiting the city to shop, dine, and party. 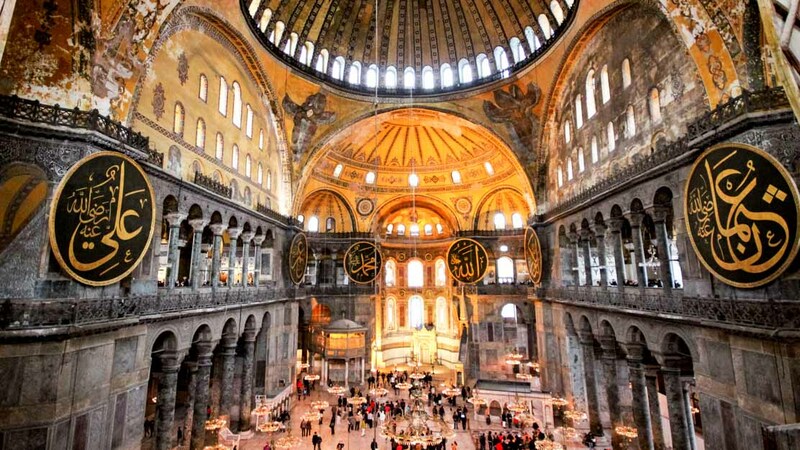 Traveling between the two is simple, so don't worry if you fancy hitting the dancefloors after the Hagia Sophia! The weather is good at all times of the year, but it may be a good idea to avoid the summer if you do not like extreme heat. 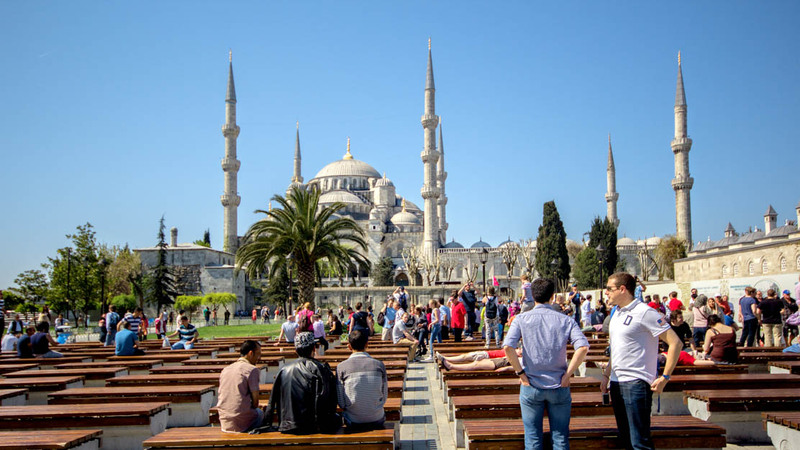 Want to discover all there is to do in Istanbul? Click here for a full list. I did not want to book a tour over 2 hours as I like to get info about what I am visiting but at the same time I like to have time for me to explore what I liked most during the explanations. I would suggest to add two options, one excluding the Harem and one including it. I paid for it but of course it was already clear to me that it was not included in the tour. Guide started the tour perfectly on time, he was friendly and provided clear explanations. I think the tour is a good balance for those that want to get tips on the attractions but do not want to join an half day tour. It was great. The service was great, the show was very entertaining..
A guided tour definitely enhances your experience. Our guide, Adil, was knowledgeable, courteous and experienced. I definitely recommend hiring a guide if you've never previously visited. Also reduces wait time for admission, especially during holy dates. The guide handed us a paper ticket for admission when we arrived. The guide communicated effectively via text before our appointment. You will be free to walk about Hagia Sophia after your your ends. There are restroom and concessions outside of the Hagia Sophia. There are opportunities to purchase souvenirs inside and outside the building. Prices are reasonable. Excellent experience. Excellent dollar value.